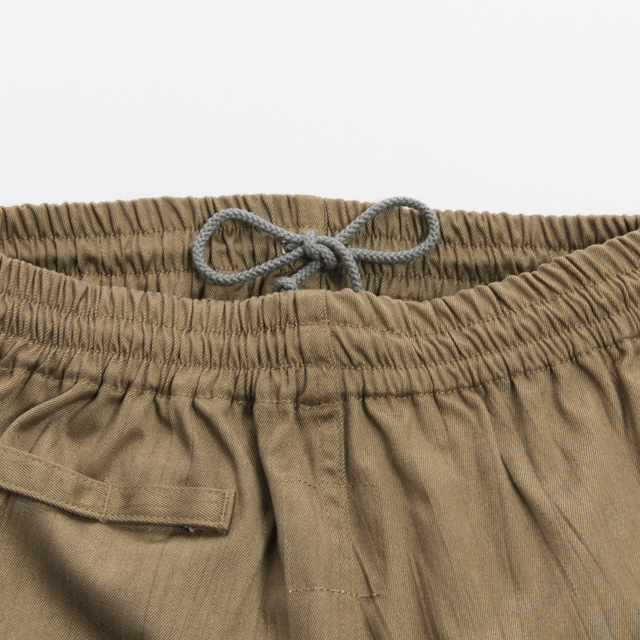 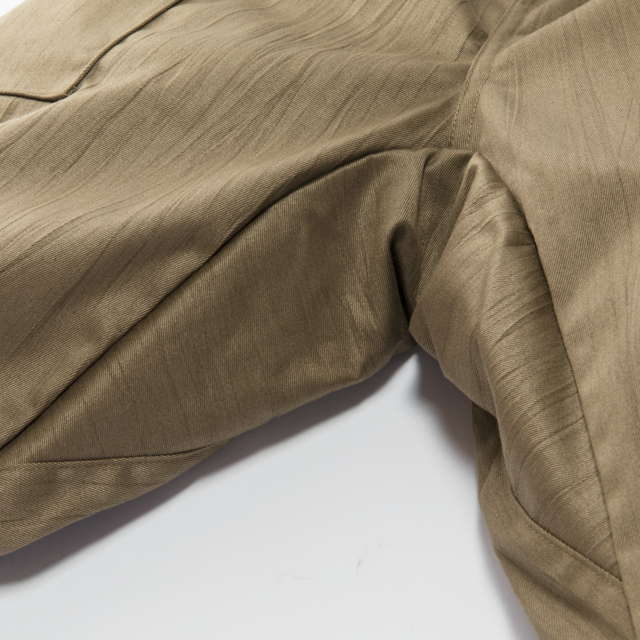 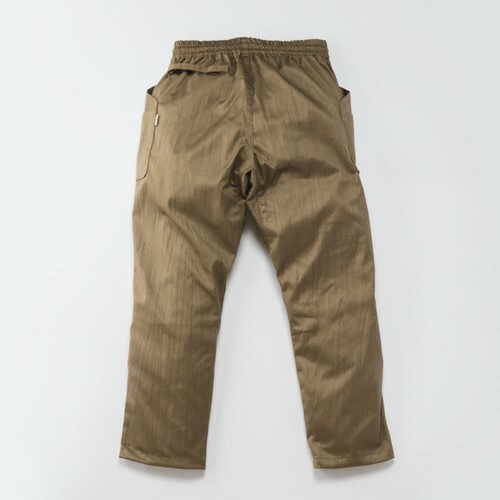 ・Monpe work pants "HIRAKU:Open Flat"
A towel hanging loop is attached to the backside of these pants. 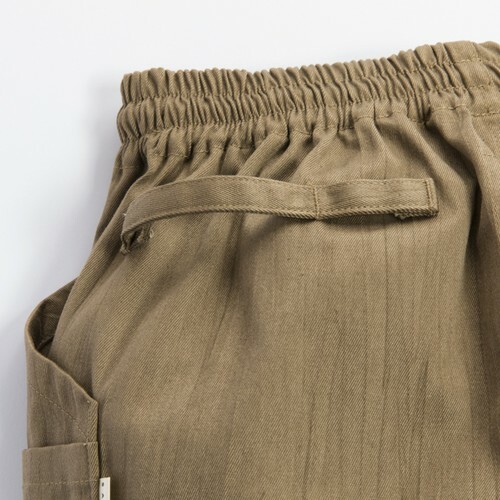 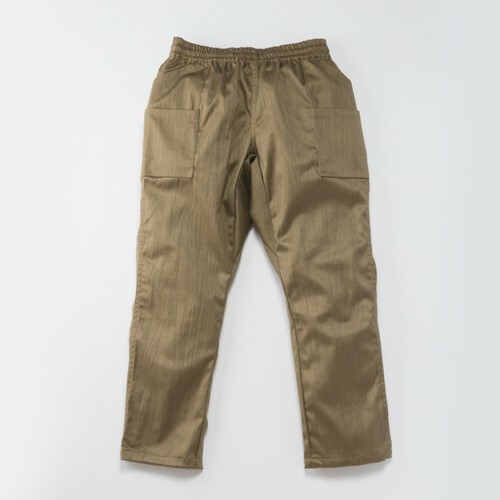 The two-layered pockets and the gusetted crotch used for climbing pants are their characteristics. You can even do the splits wearing them.